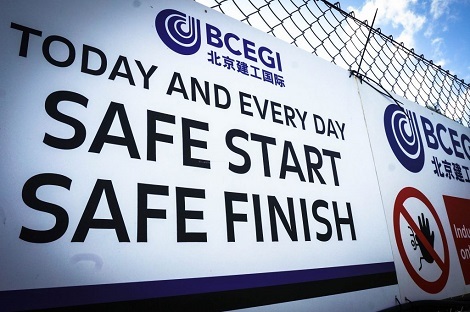 Chinese state owned Beijing Construction Engineering Group (BCEG) was founded in 1953 and began to expand internationally in 1990 with the establishment of Beijing Construction Engineering Group International (BCEGI). 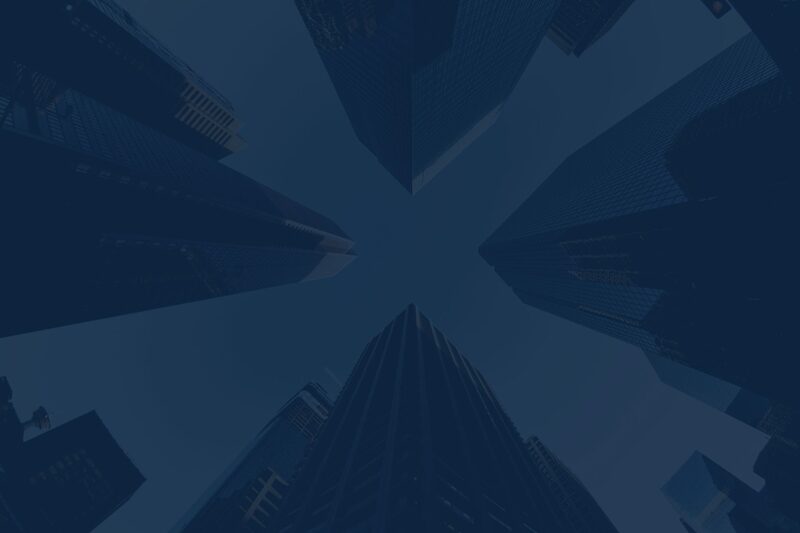 BCEGI is an international property developer and construction company specialising in bringing projects to fruition through strategic partnerships, investment and solid relationships. Today BCEGI is established in America and Canada (BCEGI US) as well as here in the UK (BCEGI UK). The movie below provides an insight into the work, capability and strength of BCEG. It is our mission at BCEGI Construction (UK) Ltd to build the highest quality and most efficient project related facilities possible for our clients. We are committed to building the best and we stand behind what we do! We believe as each project is successfully completed our expertise continues to grow. With this knowledge base, we continue to produce high quality construction projects for our clients. This is all made possible by our team of dedicated and hardworking employees. As a major Chinese state owned enterprise and with operations 27 countries, we are an internationally diverse business. We draw on a wide range of knowledge and skills from different backgrounds from across the globe. Our strength and depth of cultural, personal and professional understanding means we are well placed to successfully facilitate and deliver bi-lateral trade, particularly between the East and West. BCEGI UK are key members of the Manchester China Forum, we are proud ambassadors for Manchester and the North West and are proactively operating as a first point of contact for international business wishing to invest in the UK and Europe. BCEGI is an international property developer and construction company specialising in bringing projects to life through strategic partnership, investment and relationship building. With our foundations in China, we are now focussed on growing our global presence having recently established our new European headquarters in the UK at Airport City Manchester. It is our mission at BCEGI Construction (UK) Ltd to build the highest quality and most efficient project related facilities possible for our clients. We are committed to building the best and we stand behind what we do! “To be the trusted partner with clients to build, support, and maintain premium facilities through all phases of a construction project”. We believe as each project is successfully completed our expertise continues to grow. With this knowledge base, we continue to produce high quality construction projects for our clients. This is all made possible by our team of dedicated and hardworking employees. We value and support the people we work with and the wider community. We are courteous and considerate at all times. We are open and honest. We work together as a team and with the local community. We do the right thing and we do what we say. We will ensure that our products and our conduct meet the highest standards. We take pride in what we do and strive constantly for improvement. XING Yan is the BCEGI regional director, as such he oversees global development strategies and blueprints of BCEGI overseas divisions, especially BCEGI UK and BCEGI US. 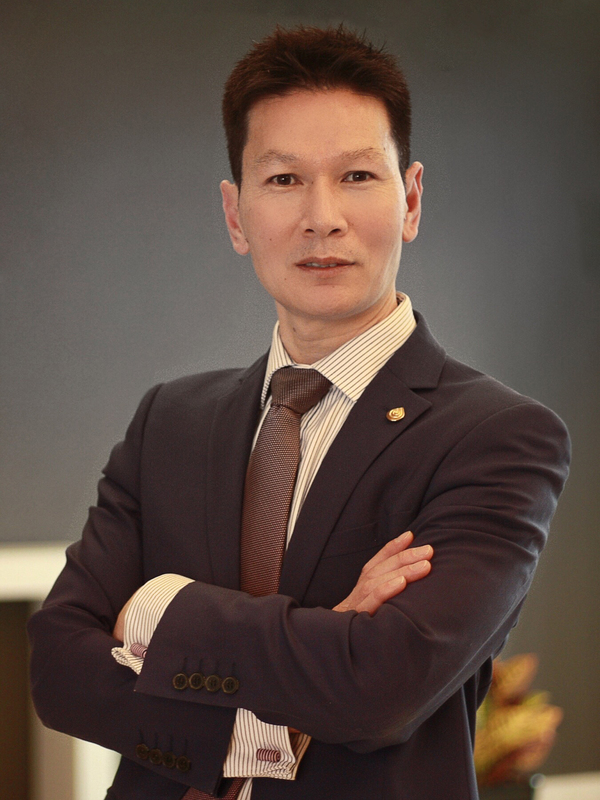 Mr Xing has been part of BCEGI for 28 years and has been responsible for delivering many projects including Shores Marina del Rey Apartments, California, US, InterContinental Hotel in Texas Medical Center, Texas, US. 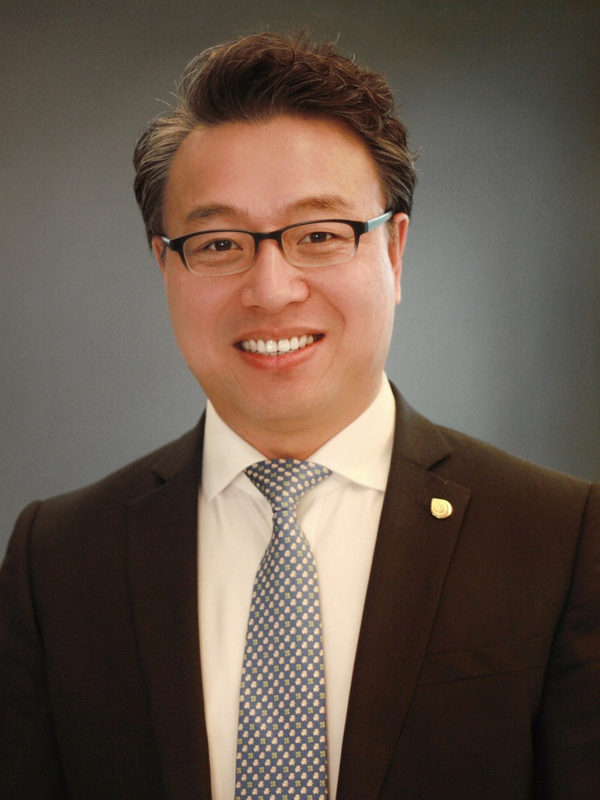 YU Dongwen was appointed Lead Director with responsibility for overseeing BCEGI’s strategy and operations in the UK. 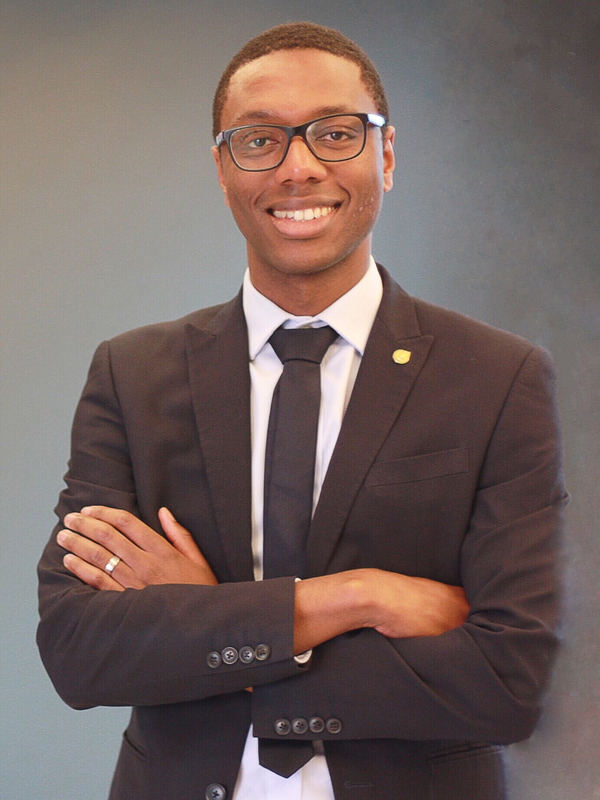 He has over 20 years’ international experience in the construction sector, has a MSc in Construction Law from King’s College London and also has an BSc in Construction and Engineering in China. Aaron Adams has over 30 years’ experience in delivering major construction projects across all sectors of the industry. 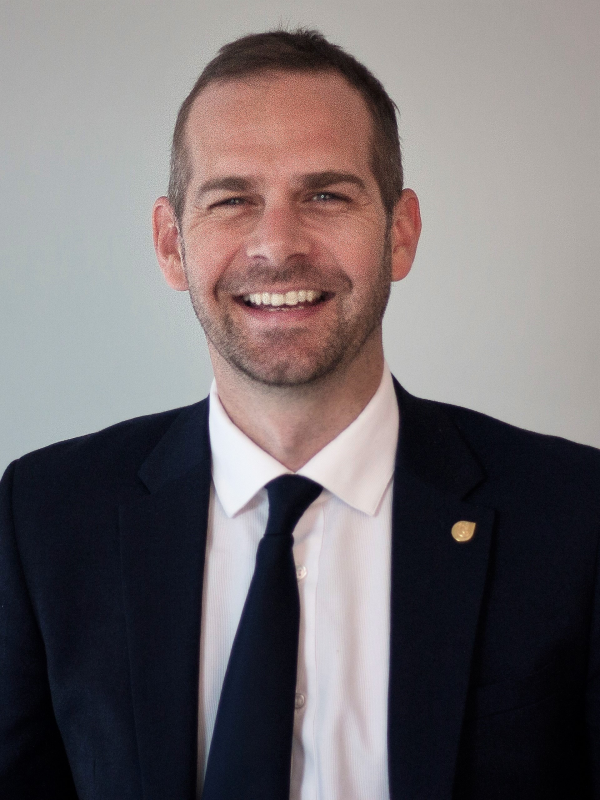 He has been involved in the delivery of the award-winning projects such as One St Peter’s Square, Green Quarter, Greater Manchester Police Divisional Headquarter in Manchester and NEO Bankside in London. Aaron’s role at BCEGI is to ensure the delivery of all construction projects. Gary Bradwell is the Commercial Director for BCEGI UK. He reports directly to the UK board and manages all company commercial activities. BCEGI’s sustainable growth through specifically selected schemes is a key driver to all their projects and his 23 years of construction and development experience is helping to achieve this. Ono Odudu is the Technical Director. Having gained extensive experience working with top tier contractors in the North West, Yorkshire and London. 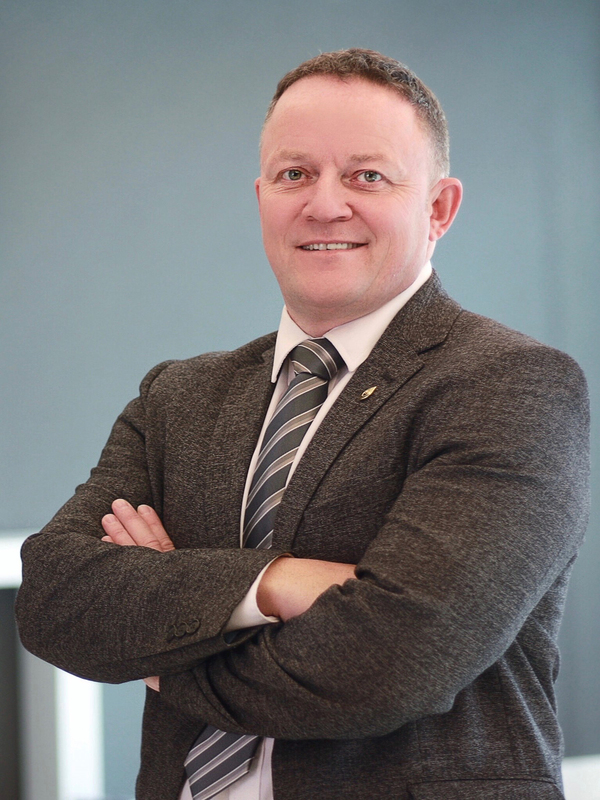 He reports directly to the UK Board and is responsible for the development and growth of the planning, project controls, design and engineering offerings of BCEGI. 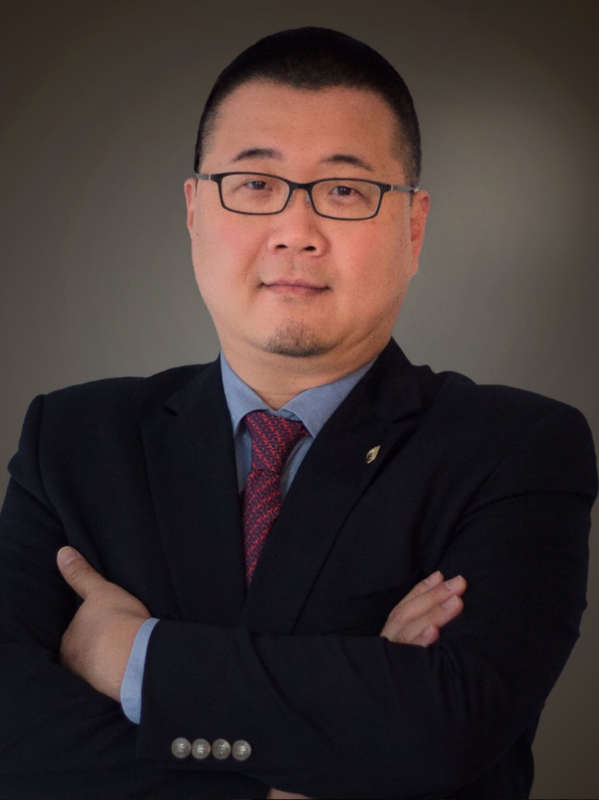 Peter Chi is a professionally qualified accountant along with an engineering degree and over 18 years of experience working in the accountancy/auditing and financial management role, he has a wide spectrum of experience and sound understanding of operating a business from a financial perspective. BCEG started its international extension scheme. BCEGI UK was founded. BCEGI became an equity and construction partner in the £800m Airport City project at Manchester Airport. 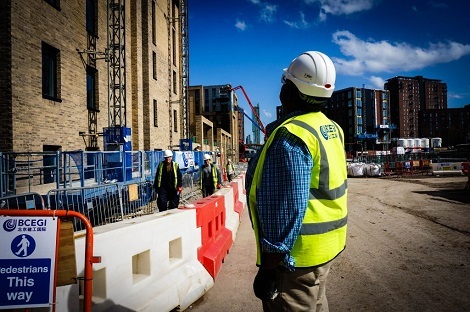 BCEGI was appointed as the preferred contractor for the £1 billion Middlewood Locks development. Nidaa Alazmeh, our BIM coordinator also one of our STEM Ambassadors, introduced Year 5 pupils to BIM Modelling. At BCEGI UK we have implemented our unwavering commitment to best practice in safety, health, environmental measures and quality throughout our business. Safety is non-negotiable and we have systems to manage and measure operational risks for all aspects of our company. We have focused health and safety training for all members of staff whether office or site based. The health and wellbeing of all employees is considered important, and education forms a vital component ensuring that all have access to information. Our environmentally responsible management policies and practices underscore our commitment to maintaining a healthy and sustainable workplace for all. Our services are of the highest quality and are delivered in full compliance with all contractual obligations. Our management system is anchored in the principles of ISO 9001:2015, ISO 14001:2015 and OHSAS 18001:2007. Through leadership and individual commitment, we continue to focus on improving the safety and occupational health of our employees and others associated with our operations. 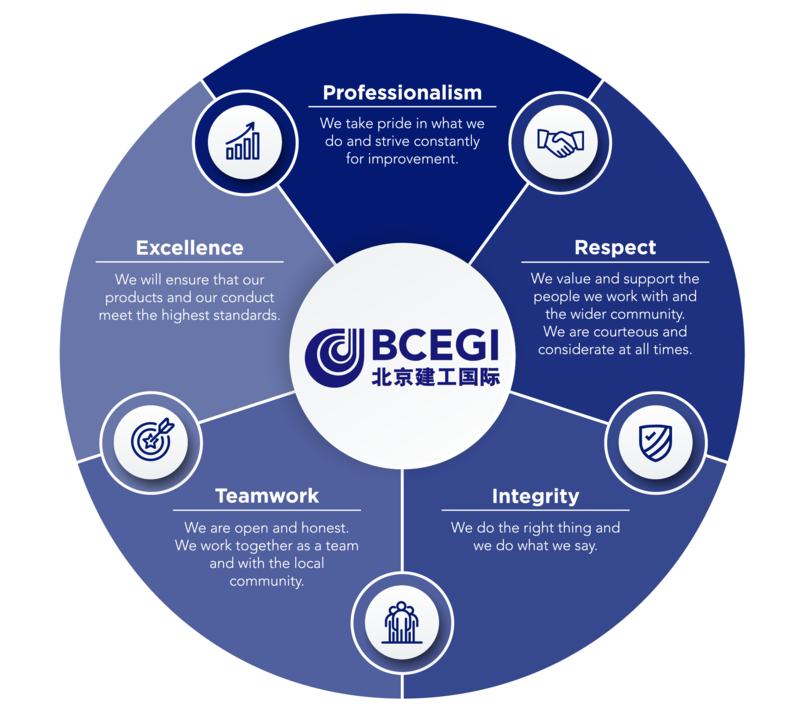 The health and welfare of our employees is of paramount importance to BCEGI. We truly believe that everyone who works with and for us has the right to return home healthy and safely at the end of every working day. We are committed to promoting healthier lifestyles and helping our people to manage their own health effectively through our Health and Safety Training programme. We focus on keeping our workplace safe, preventing work-related illness and disease, raising awareness of the risks around us and taking action to address these.